Managing Partner Ascent Associates Co.
Gerry’s professional career spans more than 30 years in Pfizer, Inc. involving senior management responsibilities at the world headquarters, region and country organizations. Prior to retiring in February 2011 as Pfizer’s Regional President for South Asia, he held other senior positions such as Regional President for Southeast Asia and Korea, Regional Director for Southeast Asia, President – Pfizer Philippines and Regional Marketing Director for Asia/Latin America/Africa/Middle East based in the US world headquarters. Gerry was the Lead of the successful launch of the Continuous Improvement Program (Lean Six Sigma platform) in Japan and Asia in 2008 and in the global Emerging Markets in 2009. Under his term, Pfizer Philippines became the #1 multinational pharmaceutical company and was chosen “Employer of the Year” by People Management Association of the Philippines in 2004. Under his leadership, Pfizer Philippines was recognized as center of excellence for its pioneering initiatives in marketing innovation, disease management, expanding access to healthcare and building a winning organization. Gerry has also led successful partnerships with government agencies and private institutions to improve health conditions in poor municipalities. Currently, he is the Managing Partner of Ascent Associates which offers executive development and coaching for senior leadership and general management consultancy. He is a certified executive coach of the Hudson Institute of Coaching (Sta. Barbara, California, USA). He coaches NGO leaders, young entrepreneurs and professionals on pro bono. He is also President of Kythe, Inc., a foundation based in the Philippines which provides psycho-social and financial support for poor pediatric patients who are suffering from cancer and other chronic diseases. He is a Fellow of the Institute of Corporate Directors following completion of the Professional Directors Program. Gerry is an Independent Board Director of the Goldilocks Group of Companies and Chairman of the Compensation & Organization Committee. 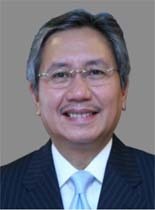 Gerry is an alumnus of the Ateneo de Manila University and the Asian Institute of Management. He has completed senior executive development programs at the Harvard Business School and Ross School of Business, University of Michigan. Mercy is the first non-Japanese woman to run two companies in Japan for two iconic brands – Levi Strauss and Starbucks. She has spent over 30 years with Levi Strauss (LS & Co.), half of which she held overseas as Managing Director for Singapore, Malaysia and Indonesia, then General Manager and Executive Director for South America (Brazil and Argentina). The last title she held in Levi’s was President and Representative Director of Levi Strauss Japan KK. She is the first minority to become Country General Manager at LS & Co. where every business unit she headed became a world class operation. She turned around a losing business despite the major devaluation and financial crisis in 1997 and transformed LS Japan from a losing business to the biggest money maker for LS & Co. with the strongest brand equity (from No.4 to No.1 position) in 18 months. 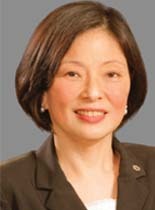 After her career in Levi’s, Mercy moved to Starbucks Corporation in 2006 as Representative Director, CEO/COO of Starbucks Coffee Japan KK and later on became President for the Asia Pacific Division. She grew Starbucks Coffee Japan from 600 stores to 872 stores and increased revenue by 75% to a billion dollars in 3 1/2 years (the biggest international market and the first to reach the billion dollar mark outside the US). She was voted Business Stateswoman of the Year by the Harvard Business School Club of Japan in 2008 and became the first non-Japanese woman to win the award and second non-Japanese of any gender. She is currently an Independent, Non Executive Director of Fraser and Neave, Limited (Singapore), the leading Pan Asian Consumer Group with core expertise and strong standing in the food and beverage, property and publishing & printing industries. Mercy graduated from Mapua Institute of Technology with a Bachelor of Science degree in Business Management. She had her Masters in Business Administration at Fuqua School of Business, Duke University. She also took the General Management Program in NUS/Stanford and Strategic Marketing Program in Stanford University. 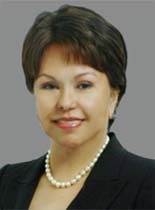 President and Director Malayan Insurance, Co., Inc.
Yvonne Sycip Yuchengco was elected President of the Malayan Insurance Co., Inc. in 1995. She was previously with the Rizal Commercial Banking Corporation (RCBC) – involved in setting up the Private Banking Unit and the PR and Advertising Unit. RCBC’s advertising and marketing campaigns during this period received several awards/citations. As President of Malayan, she oversaw the implementation of strategic marketing and the growth of the retail business by organizing the Integrated Marketing Communications Department and entering into the microinsurance market. Malayan Insurance has remained the number one non-life insurance company in the Philippines, with a market share of 19% in an industry with 90 players. In 2012, Yvonne also became President of the Philippine Integrated Advertising Agency (PIAA), a one-stop advertising and creatives agency. She is a Member of the Board of Trustees of the AY Foundation, Inc., a corporate social responsibility arm of the Yuchengco Group of Companies (YGC) which focuses on education, national discipline, community service, public health and welfare.